June 27, 2018 (Columbus, Ohio) – More than 150 of the nation’s best middle school and high school riders competed on June 23-24 in Oklahoma City, Oklahoma for the 2018 Interscholastic Equestrian Association (IEA) Western National Finals. This highly competitive event was a culmination of nearly a year of regular and post-season competitions held across the United States for riders in grades 6-12 who compete in Western Reining and Western Horsemanship. IEA Western National Finals is held during the National Reining Horse Association (NRHA) Derby, a week-long, highly-attended event for professional and non-pro Reining horse trainers. Day one of the two-day IEA National Finals competition consisted of individual classes, where twelve qualified riders in each class rode against other riders of similar age and riding ability to compete for individual National titles. Each year an outstanding rider in the highest level of high school competition (Varsity Open) is awarded the Leading Western Rider Award. For the second time, this prestigious award was given to Ellexxah Maxwellof Autumn Rose Farm Equestrian Team. Maxwell hails from West Mansfield, Ohio and was a previous winner in 2016. To determine the winner of this award, the IEA conducted a ride-off between Maxwell and Olivia Willeke of KM Equestrian Team in Findlay, Ohio. With tied scores, the needed ride-off consisted of a difficult horsemanship pattern performed by Maxwell and Willeke with Maxwell winning the top prize. Willeke was also the 2017 Western Leading Rider. Day two saw similar classes, however riders were competing as qualified teams and each rider’s score was accumulated for team points. As part of the festivities on team competition day, teams often decorate their seating areas with banners and other decorations and many don fun costumes and props for the much anticipated Parade of Teams. There was also a scavenger hunt held during the day with prizes awarded to teams who found or answered the most questions correctly. In addition, the United States Pony Club (USPC) conducted a written Horseman’s Knowledge Test with the top 8 prizes being awarded to middle and high school riders. 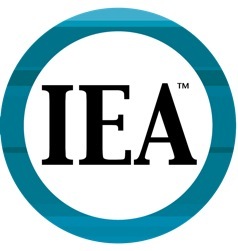 IEA has several unique features, including the use of a draw-based system whereby each rider in every competition (including National Finals) is given a horse and tack to use that they have never ridden before. This method of selection is drawn shortly before the rider competes and levels the playing field. Horses are graciously provided by teams, colleges, private owners, and professional show barns for every competition throughout the season. “The level of horses at this year’s Western National Finals was again truly outstanding,” says IEA Co-Founder and Executive Director Roxane Durant. “We are so incredibly grateful to those coaches and trainers who willingly give us their talented animals for our kids to ride. Being at the NRHA Derby and using such high quality reining horses is indeed a treat.” More than 15 different horse providers from several states were involved in providing horses. In addition to horse providers, many sponsors help make National Finals a truly special experience. As title sponsor of this year’s event, NRHA provided prizes such as the coveted Morrison Bronze Trophy, engraved chairs, and other items for the Reining classes. The National Snaffle Bit Association (NSBA) sponsored the Horsemanship classes and provided beautiful NSBA Bronze trophies. Rod’s Western Palace donated custom IEA belt buckles to all individual winners and Championship teams. Other prizes and awards were donated by Cinch Jeans, Bridleplates, BarnManager, Equine Journal, Southern Equestrian, SmartPak, Hobby Horse, The Mindful Equestrian, Judy Goldthwait Equine & Pet Portraits and others. The highlight and most anticipated prize award was sponsored by Bob’s Custom Saddles. Bob’s donated three custom saddles to be awarded to IEA class winners. Two saddles were given away on Individual completion day and one given on Team day. Winners of each class were given one raffle ticket for a saddle. Mason Dorsey(Concord Equestrian Center – Delaware, Ohio) and Emerson Madonia (King Show Horses – Snellville, Georgia) were ecstatic winners of the individual raffle. Erin Murray(Autumn Rose Farm Equestrian Team – Dublin, Ohio) won the Bob’s Custom Saddle on Team competition day. Multi-award winning NRHA Champion rider and Bob’s Custom Saddle Spokesperson, Gabe Hutchins, presented the saddle certificates to the winners. NRHA, Bob’s Custom Saddles, and Cinch Jeans were also major sponsors of both IEA Western Semi-Finals in the month leading up to Western National Finals. In addition to prizes, NRHA also sponsored a judging clinic given by NRHA Derby Judging Panel Member, Brett Walters on the Friday evening before competition began. Held in the beautiful new NRHA offices and museum on the Oklahoma State Fairgrounds, the clinic was packed wall-to-wall with IEA coaches, riders, and parents to learn tips on what IEA judges are looking for. Following the clinic, guests adjourned outside for several hours of games, bounce houses, roping, food trucks, sweet treats, photo ops and socializing. Following day two of competition it was determined that Autumn Rose Farm Equestrian Team (Dublin, Ohio) was the Champion Upper School Team with Grier School (Tyrone, Pennsylvania) taking Reserve Champion honors. In the Middle School Team competition, Hammond School (Hopkins, South Carolina) took top honors as Champion Middle School Team with Autumn Rose Farm Equestrian Team taking the Reserve Championship. Other notable awards went to 2018 Leading Crossover Rider, Kim Saunders (Grier School). Saunders competed at both IEA Hunt Seat National Finals and IEA Western National Finals and accumulated the highest score among crossover rider candidates. The Leading Reining Horse Award went to Woody from Woosley Performance Horses. The Leading Horsemanship Horse Award went to Pete graciously provided by Halvorson Ranch. The NRHA National Finals Sportsmanship Awards for riders and coaches, which recognizes individuals who show outstanding volunteerism and sportsman-like conduct throughout the show was awarded to rider Lily Johns (Dare Equestrian Team – Hilliard, Ohio) and to coach Karen Kapp-Vance (Diamond V Ranch Equestrians). The Team Spirit Award was won by King Show Horses of Snellville, Georgia. A full list of results can be downloaded here and is also available at www.rideiea.org.